I reserved reading the last book in the Monstrumologist series for Halloween, and I promised myself not to read it the way I read the third book — meaning I won’t read it for ages. I was a little bit hesitant to dive into it, actually, because my memory of the third book told me that things have gone down the darker path for Will Henry and Pellinore Warthrop. Not that it hasn’t been dark from the start, but really, I was kind of wary about how things will end, and what we will know of Will Henry and what exactly happened to Pellinore Warthrop. In The Final Descent, we meet an older Will Henry than the one in the previous books — one just a little older than the Will Henry in The Isle of Blood, and one way older, who returns to Warthrop after a long time of being apart. There’s another monster, one that hatches from an egg and becomes a snake that just grows bigger and bigger as it devours its prey inside out. 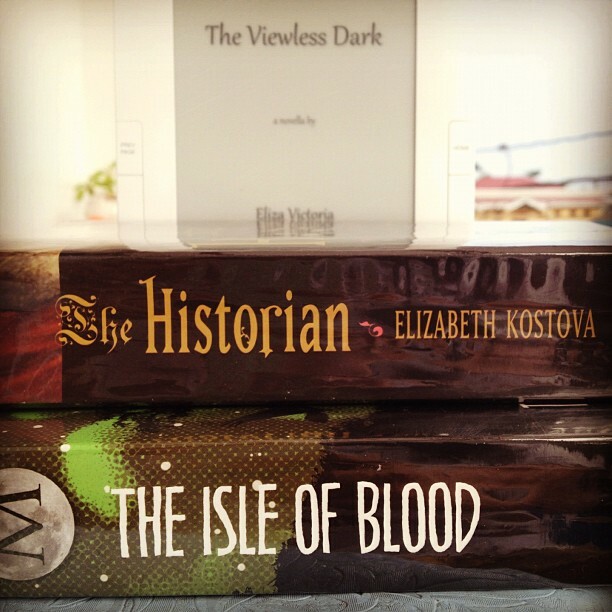 There’s still the society, Lily Bates and the Monstrumarium and the Abraham Von Helrung, and of course, lots of gore and darkness, just as the first three books had. 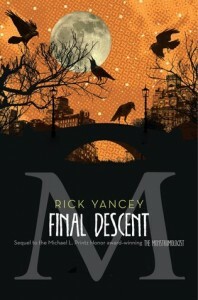 The Final Descent is written in a different way, flashing forward and back, that I’m not entirely sure which was the more dominant time in the story. It gets a little confusing at first, but the voices of the younger and older Will Henry were both distinct, and I can’t help but wonder what exactly happened in between that made the older Will Henry like that. It was a far cry from the Will Henry in the first two books, which made me just a little uncomfortable because this wasn’t the Will Henry I’ve known to love. I guess this is an effect of puberty, as well as what happened in the third book, but it didn’t exactly sit well with me, so much that I almost had a hard time reading through the book to get to the end. 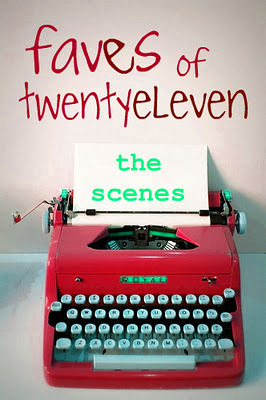 The book is all parts ambiguous and it circles around, until it gets to the end and I sort of understand what happened. Except that I’m still not entirely sure, because it really felt like the Will Henry I read in this book was just different. That doesn’t mean I feel a lot satisfied, because I really and truly missed how it was in the earlier books. Oh, the writing was beautiful, I have to give it that. But by the time I got to the end, I was just happy I’m done reading that I can put it behind me. I’m not really wishing for a happy ending, but something a little less…philosophical or existential, I guess? But then I realize that maybe I started falling a little out of love with the series by the time I started slowing down in reading the third book. Perhaps I was just in this for the adventure, and to get my own dose of gore. I still think that The Monstrumologist series is one of the best out there, but unfortunately, this book is the one I liked the least. I am the infinite nothing out of which everything flows. We are vain and arrogant, evolution’s highest achievement and most dismal failure, prisoners of our self-awareness and the illusion that we stand in the center, that there is us and then there is everything else but us. For true beauty – beauty, as it were, with a capital B – is terrifying; it puts us in our place; it reflects back to us our own ugliness. It is the prize beyond price. You cannot choose not to fall in love, but you can choose for the sake of love to let love go. Let it go. When Dr. Warthrop goes hunting the “Holy Grail of Monstrumology” with his eager new assistant, Arkwright, he leaves Will Henry in New York. Finally, Will can enjoy something that always seemed out of reach; a normal life with a real family. But part of Will can’t let go of Dr. Warthrop, and when Arkwright returns claiming that the doctor is dead, Will is devastated–and not convinced. 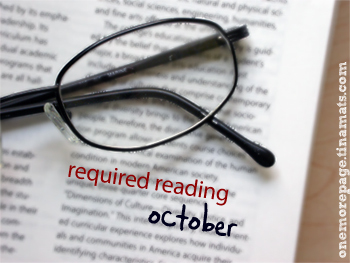 I’m not a super-fast reader, but some friends tell me I have a pretty fast reading pace. I’ve been pretty slow lately, though, but for young adult books with a max of 500 pages, I know I can finish it in a week or two weeks, tops. Which is why I feel slightly terrible when I realized that it took me two months to finish one book from a series that I really like. In my defense, I was reading this together with The Historian while NaNoWriMo-ing, and then life and work happened. But I still felt bad. 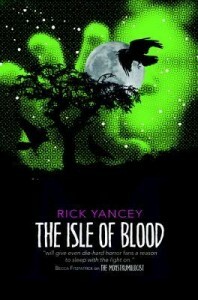 The Isle of Blood is the third book of The Monstrumologist series by Rick Yancey. We continue Will Henry and Dr. Pellinore Warthrop’s adventures found in the folio that the author was reading to piece together the story of a certain Will Henry who passed away without any relations. In this book, Dr. Warthrop receives a mysterious package that contained a nidus ex magnificum, a nest made from human body parts, held together by a substance called pwder ser. With just one touch, the person transforms into a creature with a hunger that cannot be satisfied, so much that they start eating their own self. Warthrop sets off to find the creator of the nidus, the Typheous Magnificum, but he doesn’t take Will Henry with him. Instead, he takes a new assistant, who returns later bearing the news that the Doctor is dead. Will Henry doesn’t believe this, and sets off to discover the truth, further tying his life inexplicably to the doctor, whether he liked it or not. Ah Will Henry. I loved The Curse of the Wendigo because it was a Warthrop book, but The Isle of Blood is Will Henry’s through and through. We see Will Henry here without the Doctor, and how far he has gone through in the name of the science that he has grown up with with Warthrop. There is a certain darkness in this book that was kind of new to me — not that the first two books were not dark. It just seemed that with this book, there were more internal struggles with the characters, especially Will Henry. Sometimes it’s hard to remember that he’s still young in the story but the older Will Henry wrote the folios. It was almost like the older Will Henry was starting to wax poetic over things in this book. It was a tad too poetic at times and I think that was one of the reasons why I wasn’t able to finish this faster than I normally do. Not that it’s bad, but it almost felt repetitive. The story felt slower this time around, and so many things happened that a part of me felt a tad impatient with the story’s progress. There’s a twist at the end that I wasn’t really expecting, and this made the book’s monster quite…well terrifying. After some thinking, though, I realized that the monster in this book is pretty close to the things I liked reading in my fiction, so that made me smile even if it was a truly horrifying thing to smile about. The ending wrapped the book nicely and it made my heart hurt just a bit.